Benchijigua Express is the most modern multiple hull ship in the world. Benchijigua Express can carry up to 1291 passengers and 450 vehicles and on board passengers are offered a range of amenities which include, numerous bars, children’s play area, well lit lounges, reclining seats and a spacious sun deck. Please Note: Whilst we have taken great care in making our Benchijigua Express guide as accurate as possible, onboard facilities, services and entertainment may vary depending on the date and time of year that you travel, facilities mentioned may change without notification and ferry companies reserve the right to operate vessels other than those mentioned at time of booking without prior notification. We have done this crossing before. Just take email confirmation to Fred Olsen Express desk. They enter passport numbers into their booking system. No tickets given and they swipe your passport just before boarding. That's it. On the return leg I went to the FO ticket office and they didn't want any ID as we were already booked in. It was so easy. The Benchijigua Express is a great fast ferry and worth the little extra than charged by the competition. Many years ago we discovered the attraction of using our allocated two week holiday in the Canaries by first spending a few days on Tenerife (Los Cristianos) then boarding the ferry in the harbour to La Gomera for a week then returning and spending a few more days on Tenerife before flying home. 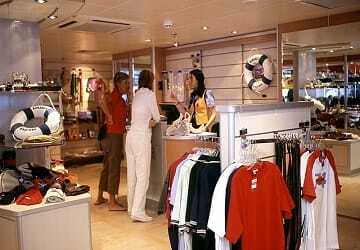 The ferry crossing takes about 45 minutes and is thoroughly pleasant - free wifi and good cafe and shopping facilities on board. We don't find there is a need for a car on Tenerife but we ore book a car which we pick up at the harbour at San Sebastián on La Gomera. Some may feel this us all too much trouble - but do try it. The ferry crossing really couldn't be more straightforward. The cases are put in lockers on a Fred Olsen supplied "train" before you board the ferry and are easy cleated and then transferred to a hire car when you disembark - easy. Cannot speak highly enough if the service from Direct Ferries - cheaper and more convenient than booking direct with the ferry company. Due to flight being delayed (10th April 2015) we were too late for our booking on the 14.00 crossing. Your staff transferred tickets for us to travel on the 19.00 to La Gomera. The lady in your left luggage office also 'phoned our car hire people in La Gomera for us, to change the arrangements with them. We thank everyone at Fred Olsen who took the worry away from us. 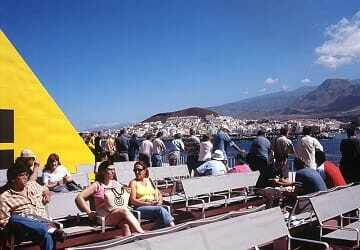 "Ferry to La Gomera and return"
I found it easy to book these ferry crossings on directferries website. All that was required was to arrive at the ports at least 30 minutes before sailing time then join the queue present our passports for scanning - no paper no hassle!! The crossing with Fred Olsen from Los Cristianos, Tenerife to San Sebastian de La Gomera was a pleasant and unforgetable trip. Check-in, boarding and our experience on board exceeded our expectations. We undoubtedly enjoyed the experience and professionalism.
" 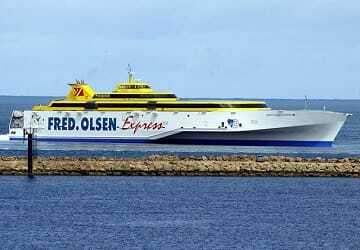 Fred Olsen Ferry to La Gomera from Tenerife South"
Booked return journey with Direct Ferries from Tenerife to La Gomera sailing Jan/Feb. Simple to book and everything went perfectly to plan - very comfortable crossing. 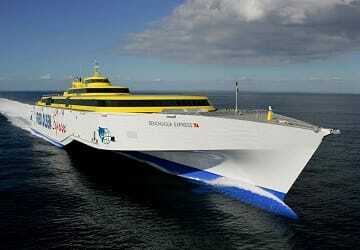 Would definitely use this ferry and the services of Direct Ferries again. Punctual, kind staff, comfortable seats, we were we no car so I don't know about the garage. A tip, leave the lagguges at the guarded service (little purchase) to avoid to bring them all over the ship with you. Easy to book on the internet. Comfortable trip. Comfortable journey also with rough sea, punctual. 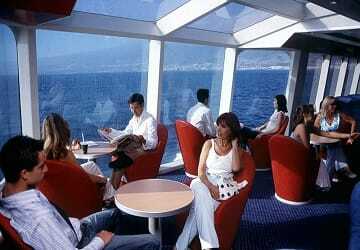 6 of us traveled across to La Gomera and back the journey was very good the boat was clean and well equipped and we were pleased we have used this service many times and our only remark would be because of the reduced service we had to wait five hours to cross. "Fast and efficient crossing to La Gomera"
Enlightened from earlier experinces we rented a car this time for our trip to La Gomera. The alternative that our travel organiser offers is to move the luggage between two buses. This system is not very convenient if you as in our case are also bringing golf bags. However as mentioned earlier, with our own car we could enjoy the pool onboard which we couldn't on the previous trip. Great service on car dek. "Booking and trip to Las Palmas"
All went well, from the booking online to the journey, better to go in advance to the port because is really busy. Thanks. Yes this was an excellent trip - both ways. Very smooth, no engine or other noise. Refreshments fine and plenty of very comfortable seating with good views of the sea etc. Loos very clean. Only one slight problem of diesel smell on the aft deck, outside, but I gather there are other decks with outside areas. Much better than the other company operating to La Gomera. Great service, a little expensive for just foot passengers but everything was fine. Very fast ship with lots of space, very clean and comfortable. Nice coffee and very professional staff. Had a very pleasant crossing from Tenerife to La Gomera. Boat left on time, was clean and tidy and staff were helpful. The only thing we felt could have been improved were the terminals which were quite basic and as we had arrived promptly, it would've been nice to at least been able to grab a cup of coffee. However, the refreshments on the boat were good.